A two-day adventure where we use a range of outdoor activities to travel across areas of outstanding natural beauty. Our treks give Students a chance to get away from university and city life, exploring the outdoors and being physically activity at the same time. The treks are open to all students, you don't need to be physically fit we encourage all students to take the activities at their own pace. Our next trek is 8th/9th November to Kielder National Park, consisting of a day's hike, some yoga under the stars and then a chance to mountain bike the next morning (if you don't want to cycle you can hike again). 18th-19th June the IOS took 13 students on a trek along the Northumberland Coast, the trek started with a 3 mile hike across the tidal sands to Holy Island. An ancient pilgrimage it gives a unique vantage point of Holy Island. 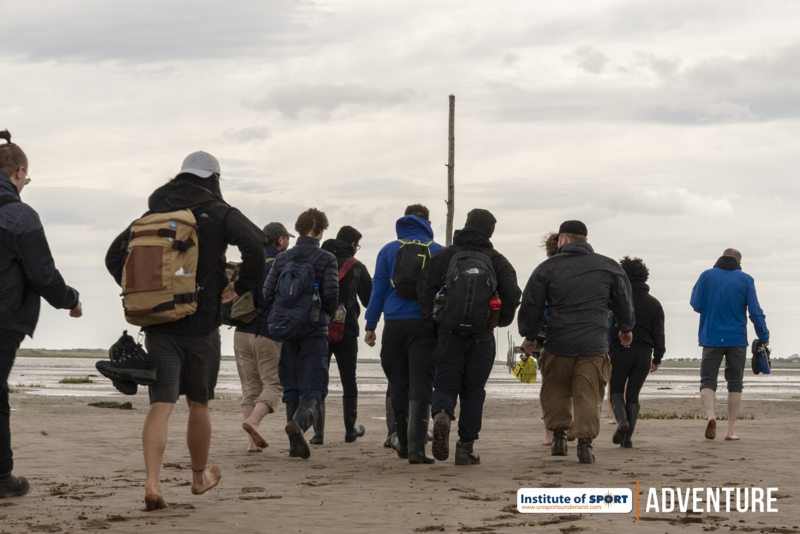 Also with most of our students taking the practical option of bare feet across the sands it allowed students to truly re connect with nature. Once reaching the island we hiked around the major visitor attractions exploring a key cultural site for the North East. After hiking 7 miles in one day, we were picked up and transported to our accommodation for the night in Seahouses where students had the opportunity to explore the village in the evening. The second day saw the group hike the 7 miles from Beadnell to Craster including the magnificent Dunstanburgh Castle and Embleton Bay. Our Northumberland Trek was funded through the universities Silver Fund allowing students to take part for free.